The EMU Australia Shoreline Kids, is a waterproof, kid’s lace up ankle boot with Australian Merino wool lining and cuff. Made with waterproof suede, and a sturdy, high traction rubber outsole, these boots are engineered to take on winter without compromising comfort and style. 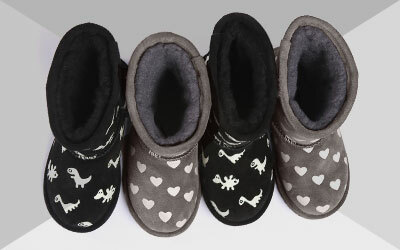 The kid’s Shoreline is a stylish, waterproof ankle lace up boot lined with naturally soft Australia Merino wool lining. The boots are made from waterproof suede in Oak and Charcoal with two sets of laces to provide a secure fit and two looks. 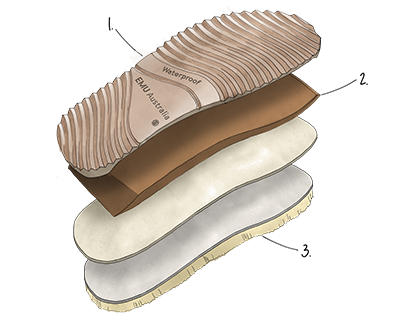 The soft midsole offers comfort and support, while the durable rubber outsole delivers grip and traction.